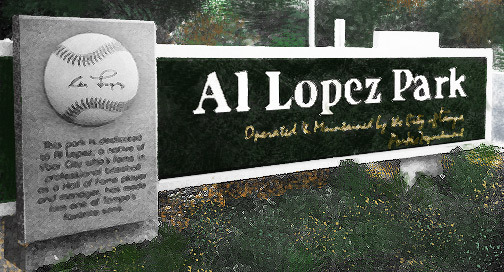 (Aug. 20, 1908 – Oct. 30, 2005) Al Lopez was an American catcher and manager in Major League Baseball and the son of immigrants from Asturias, Spain who went to Cuba, then settled in Tampa's Spanish-speaking Ybor City section. He established a major league record for career games as a catcher, and later became the only manager to interrupt the New York Yankees' string of American League pennants from 1949 to 1964. Over the course of 15 full seasons as manager, he never had a losing record. 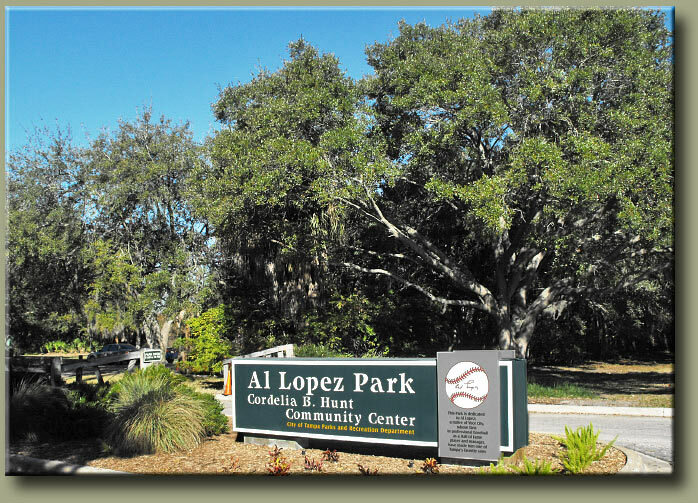 Al Lopez Park is just a bunt and a punt from Legends Field and Raymond James Stadium. 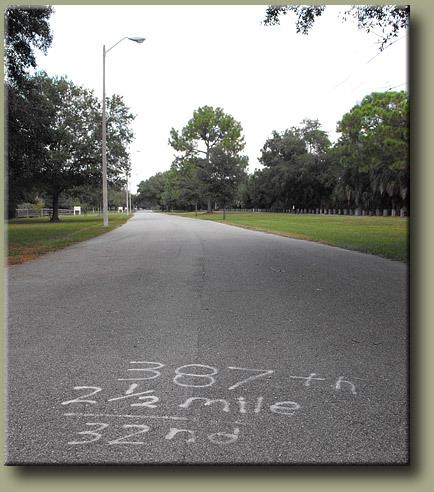 It's been around since before 1966, originally as Horizon Park. 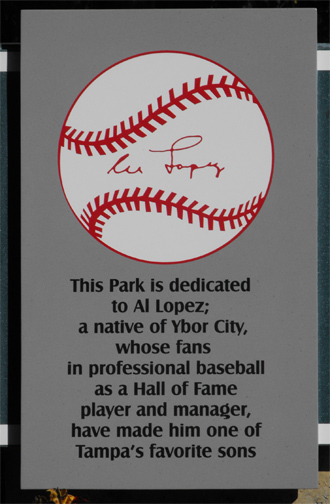 In 1992, the City of Tampa, Hillsborough County and the State of Florida decreed Oct. 3, 1992 to be Al Lopez Day. Gov. 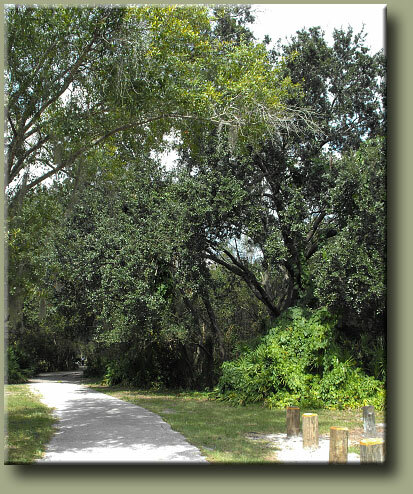 Lawton Chiles' proclamation, the 130+ acre park was named in honor of Al Lopez. 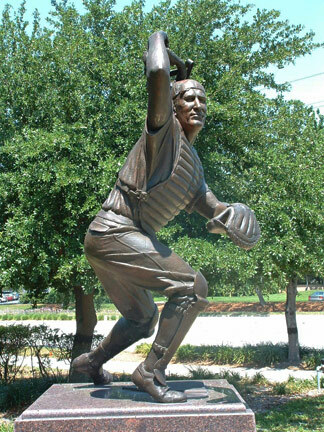 On that ceremonious day, a life-sized statue of the former catcher chasing a foul tip was unveiled in the park at Himes Avenue and Dr. Martin Luther King Jr. Boulevard. 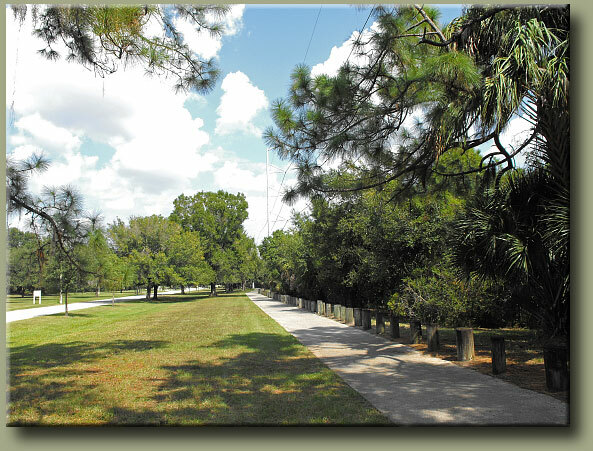 Park amenities along the trail include: parking, restrooms, picnic shelters, grills, fishing piers, two ponds, fitness stations, a community center and a dog park. 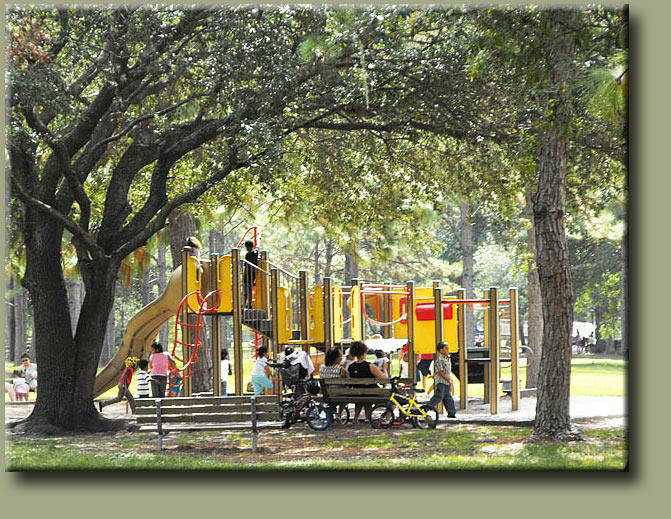 Arcade, a steel & wood pedestrian bridge/art piece by Robert Calvo (1990), is part of the multi-purpose trail at Al Lopez Park. 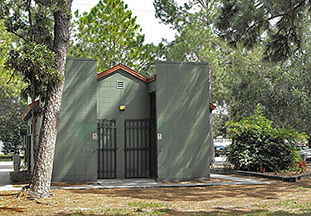 Al Lopez Park has 15 shelters that may be reserved for private use. 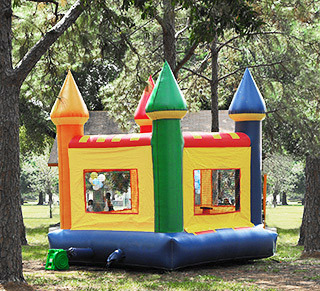 Thirteen of the shelters rent for $26.75 with tax and have anywhere from 4 to 6 tables and seat from 32 to 48 persons total. 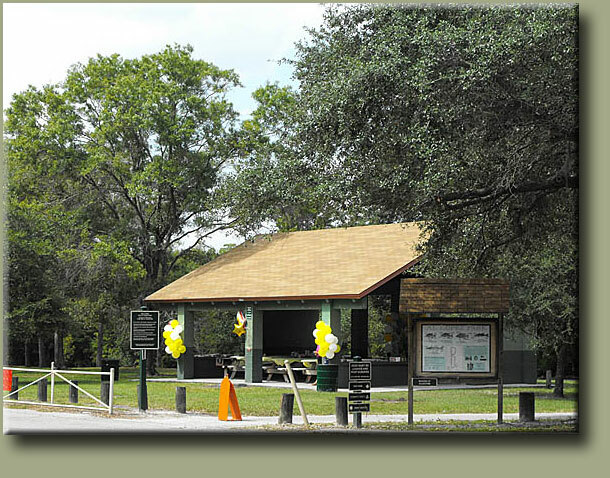 Shelter #310 has 5 handicap accessible tables with 3-person capacities accommodating a total of 15 (benches on only one side.) 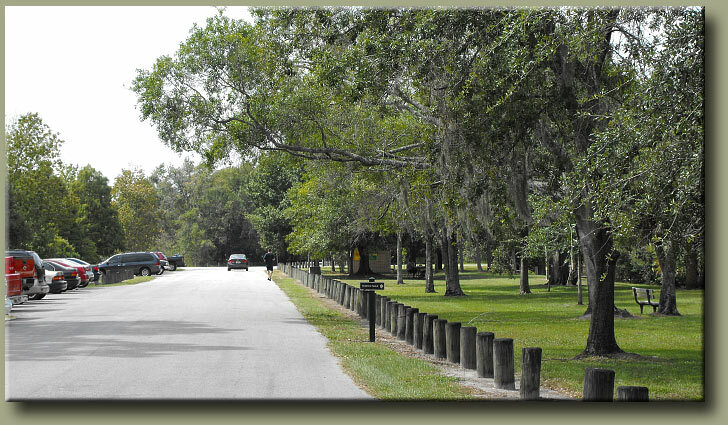 Shelter #311 has 10 tables and can seat 80 persons ($53.50.) Shelter #315 has 28 tables and seats 224 persons.